With the EU Parliamentary elections now five weeks away, Euronews is counting down by taking a road trip across the continent to speak to voters about the issues that matter to them. We are parking our red sofa in cities, towns and villages around Europe – inviting people to take a seat and talk about what's on their mind, ahead of what is a key vote at a crucial moment for the European Union. Today Euronews correspondents Elena Cavallone and Jack Parrock are in L'Aquila, the central Italian city devastated by an earthquake exactly ten years ago. The death toll reached 309 and reconstruction of the city is still ongoing, and has in large part been funded by EU money. But there is controversy over the way these have funds have been used and there have been allegations of corruption and criminal involvement. Housing was built on the outskirts of the city for the 65,000 residents who lost their homes at a cost of €350 million, managed by the Italian government under Silvio Berlusconi, and complaints about the quality of the accommodation are common, with reports that balconies have collapsed. 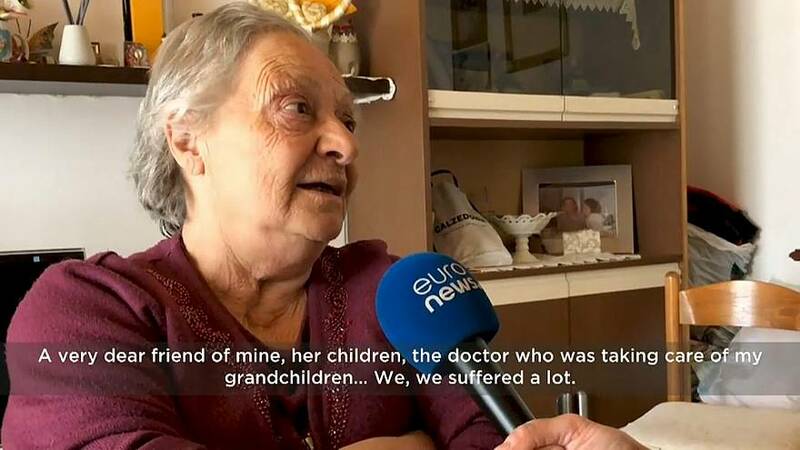 But one resident told us she still plans to show her gratitude by voting in the EU elections, saying that it is her duty. Despite feeling isolated in this new town where she’s been for ten years, Marcella Del Vecchio thinks the EU supported her and wants to vote in the EU parliamentary elections in May. And there is some optimism to be seen in the town. Local Andrea Mancini set up a bar after the earthquake. He said: "Before the earthquake I used to say that I wanted to leave, that I wanted to do this and that…but since then I have instead developed a stronger feeling of belonging to this place. “I hope the historic centre will be full of people again, and I hope with many people smiling."